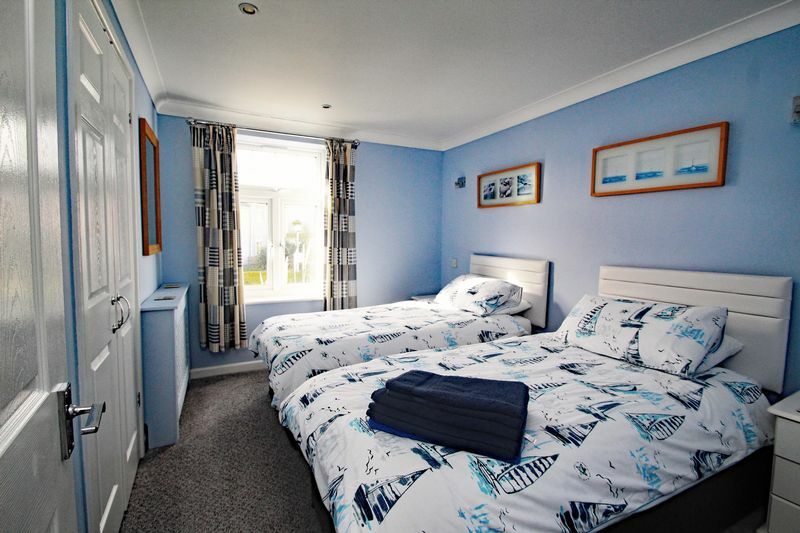 A superbly refurbished well appointed 4 double bedroomed (one en-suite), two bathroom holiday home situated on a popular site with communal grounds and parking. Fully equipped and furnished.Chain free sale. Viewing highly Recommended. 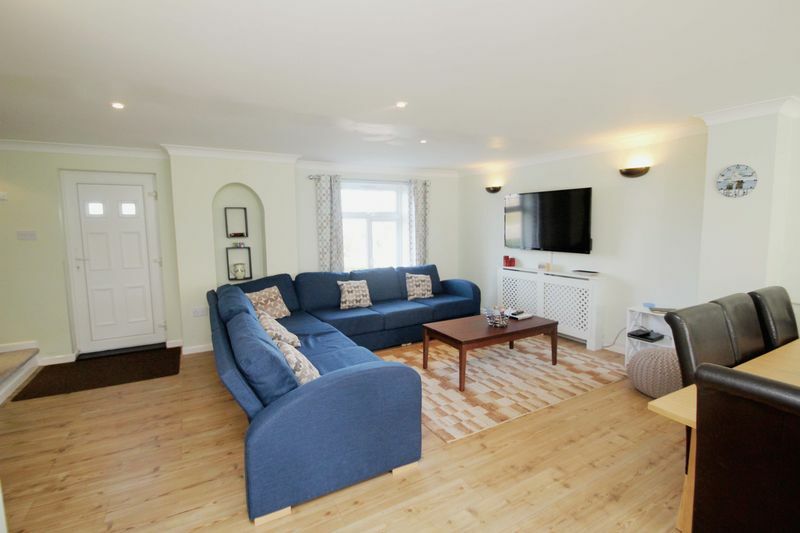 This property provides opportunity to purchase a well proportioned 4 bedroom holiday home that has been finished to a high specification with a current 5* Trip Adviser rating. 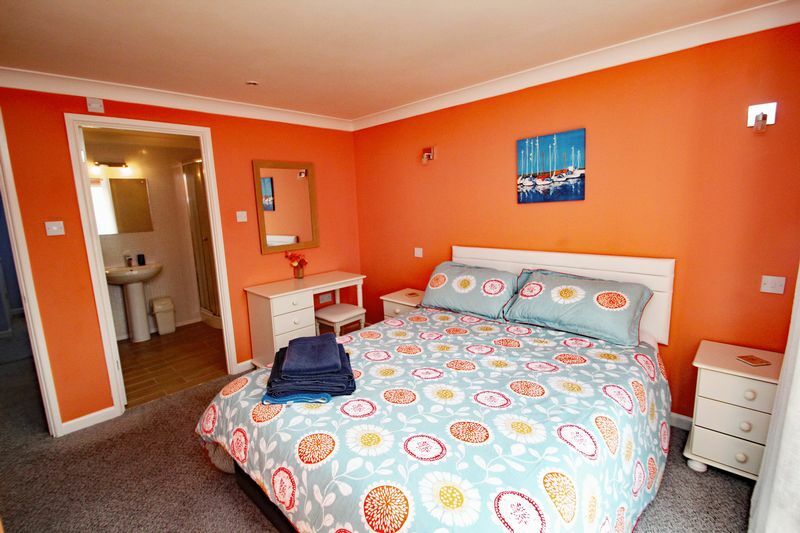 The home has good sized bedrooms all with built-in storage, the master bedroom having en-suite facilities. 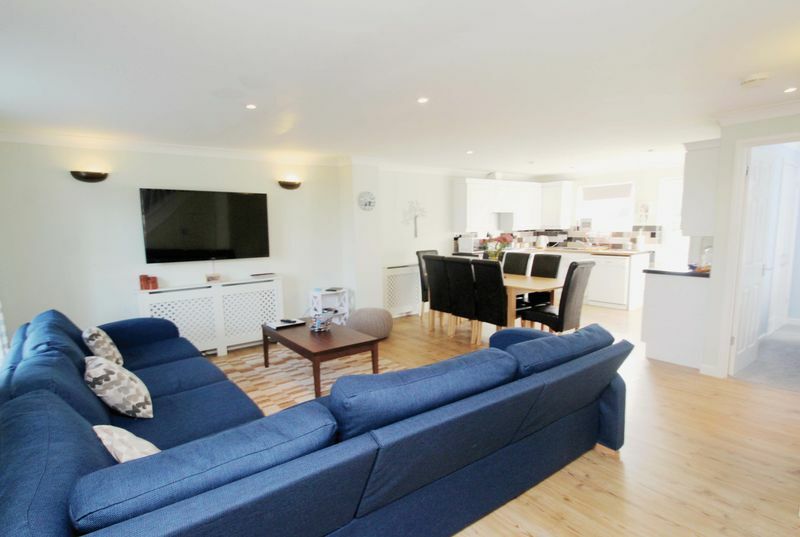 To the ground floor there is an open plan lounge/kitchen/diner, a ground floor shower room and a double bedroom. 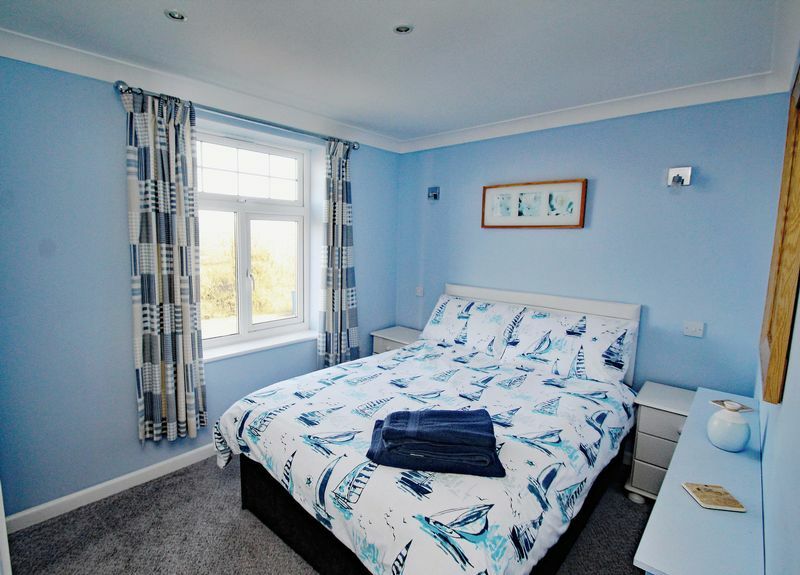 The home is heated by way of radiators and an electric boiler and is fully double glazed with UPVC windows and doors. 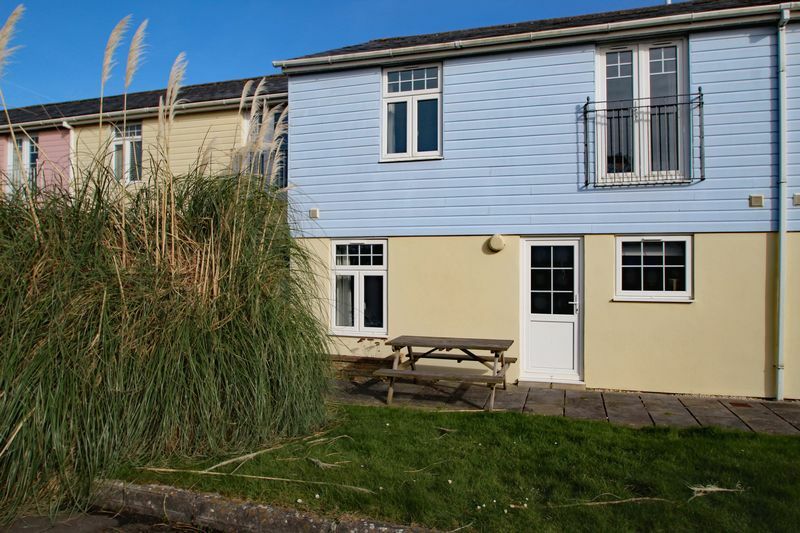 The home is located within easy access to the sites facilities, communal gardens and parking. Atlantic Reach is set in 55 acres of the grounds of a 16th century Manor Estate. The sites facilities include indoor and outdoor swimming pool and fitness centre, cafe bar, beauty and health spa, nine hole golf course, licensed bar, restaurant and laundry facilities. 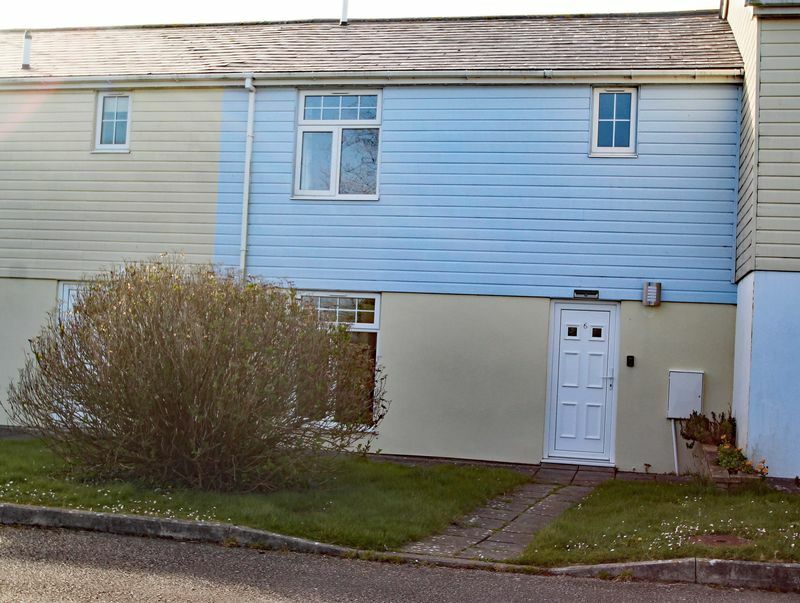 The site is located approximately 7 miles from Newquay and is ideally located for exploring the rest of Cornwall. UPVC double glazed window to front aspect, television point, recessed arched display area, radiator. Stairs to first floor with storage cupboard under. Range of modern units with roll edged worksurfaces over. Integral electric oven and hob with concealed extractor hood over. Tall fridge freezer. 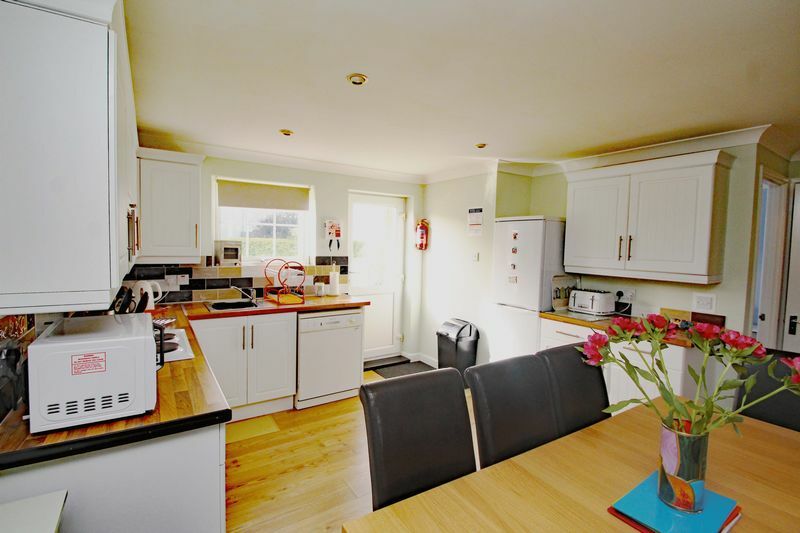 Stainless steel sink and drainer with mixer tap over, tiled splashbacks, radiator. UPVC double glazed window to rear and door opening out onto patio area, inset downlighters. Built in wardrobe with rail and shelving. UPVC double glazed window to rear. Wall mounted reading lights and inset downlighters. 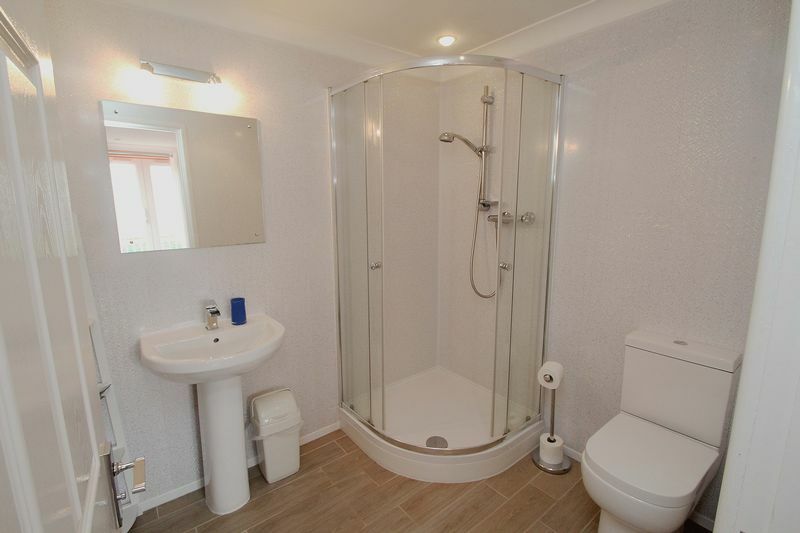 Modern suite comprising walk-in shower with chrome effect fittings and screen, WC and pedestal wash basin, extractor fan, radiator. Airing cupboard housing electric boiler providing hot water and central heating, wall mounted control panel and immersion switch. Smoke alarm, ceilings, loft access. Built-in wardrobe with rail and shelving. UPVC double glazed window to rear aspect, radiator. Built-in wardrobe with rail and shelving. UPVC double glazed window to front aspect, radiator. Modern suite comprising walk-in shower with chrome effect fittings and screen, pedestal wash basin and WC. Fully tiled floor and walls. Extractor fan. 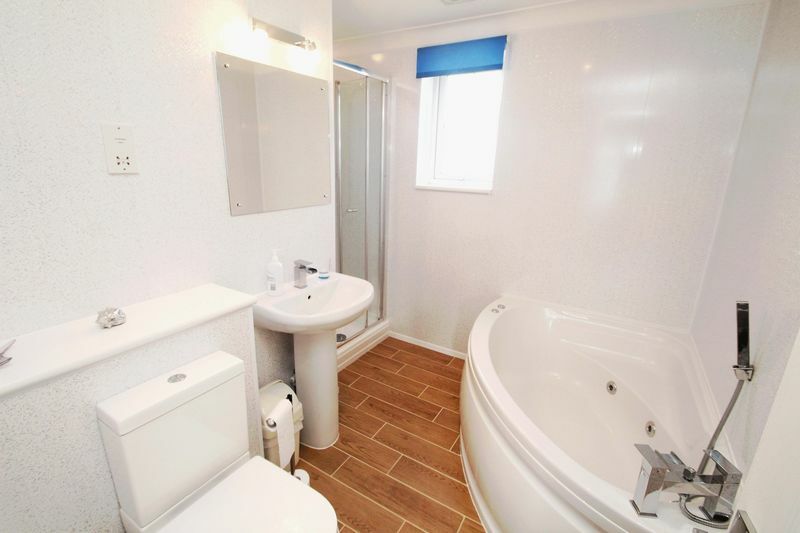 Modern suite comprising walk-in shower cubicle with chrome effect fittings and screen, jacuzzi corner bath, washbasin with built-in cupboards under and WC. Window to front. Extractor fan. Radiator. Fully tiled floor and walls. The property is set in the sites communal grounds which comprise lawned areas with paved pathways leading to each individual property. There is a paved patio area to the rear of the property. There are communal parking areas and all of the sites facilities can be easily accessed from the property.